Indonesia’s general elections are on 17 April. For the first time, these will be concurrent–president and assembly on the same date. Previously, since the country’s 1990s democratization, assembly elections had been held in the counterhoneymoon, i.e., several months before the presidential election. 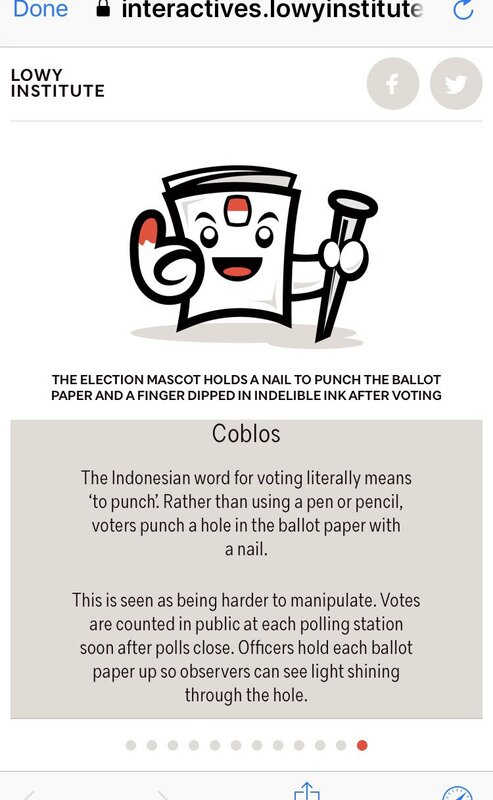 Indonesia has a wonderful election mascot. We need more of these in the world of elections. Source: Lowy Institute report on election. The Finnish parliamentary election is today. 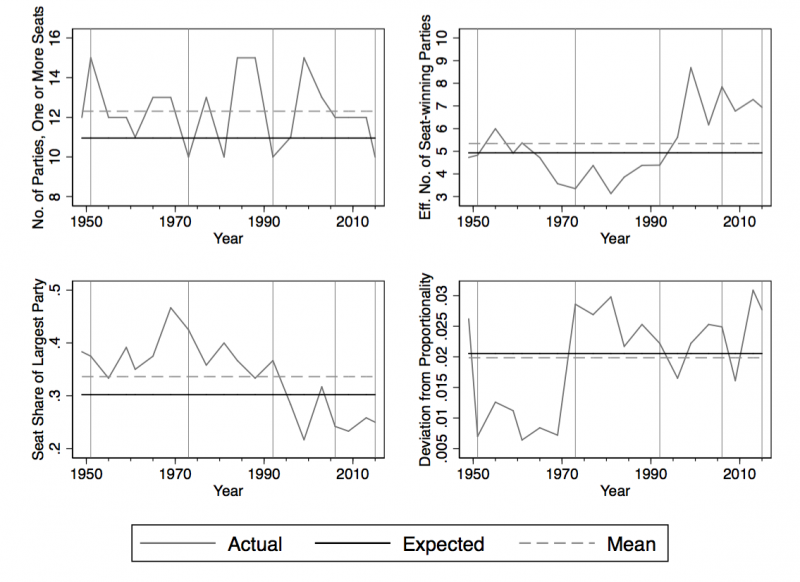 The expectation from pre-election polling is that the center-left parties may make gains. The result may be close enough for regional variance in party strengths to matter to the outcome, as was the case in 2007. Since then, the electoral system has been modified slightly, with some smaller-magnitude districts merged. Thus regional variance should not matter as much as it did then. The system is districted open-list PR, so candidates matter greatly, and the system permits multiparty alliance lists (which need not have the same combinations in all districts). The first of several phases of the 2019 Indian general election is underway. I just found a really neat feature at the Times of India that gives summary of the two major party leaders’ activities each day. “180 turmeric farmers refused to withdraw their candidature from Nizamabad on the last day of nomination… no choice but use ballot papers” instead of electronic machines. That’s a lot of candidates, and also a pretty expensive protest (apparently around $400 per nomination), as well as a headache for election administrators.